Singers are not able to open up their body and view their instrument, to have it in front of them, like a piano, or to hold and manipulate it, like a guitar. Instead, singers must understand their instrument through internal visualization. It helps that, through improved technologies, we can view vocal folds through scoped cameras, or clever animations. Still, a singer needs to have a mental map of what their instrument looks like from the inside, and what the process of creating sung sound is like. Because deep breathing is an essential aspect of the singing process, singers need to learn to breath in a way that is conducive to a vocal melody. This requires deep belly breathing, a process that is quite meditative. The low, calm breathing learned in singing, means that simply through the physical act of singing, we can calm our mind, and body to focus on the task of performance. Performance of any kind requires a musician to be ‘in the moment’. This is especially true of singers, whose bodies are attuned, and will respond (sometimes negatively) to even the slightest change in mental attitude. By focusing too much on what is coming next, or dwelling on past mistakes, singers can sabotage their own performance. Understanding this, helps singers to stay in the present moment, and deliver the best performance they possibly can! 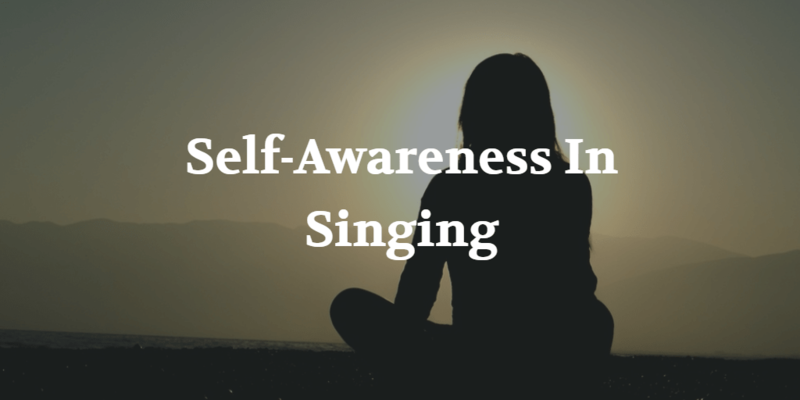 How else does singing improve self-awareness? Tell us in the comments below!